We hope find what you are looking for and enjoy seeing what we get up to in Sussex West. Please keep coming back to visit the site as it will be regularly updated with information on up and coming trainings and events and news from across the County. If there is other information that you would like on the website, please let us know. 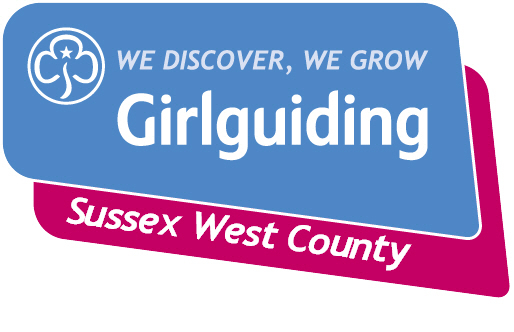 It’s been 40 years since Girlguiding Sussex West became a County we think it is something that is definitely worth celebrating! Our County 40th Anniversary Challenge is optional and designed to complement activities people are already doing. Any member of Sussex West (Girlguiding or Trefoil) can take part and, whilst it is intended that it will run during our Anniversary year - September 2018 until July 2019 - activities can be used as inspiration at any time. To successfully finish the Challenge, you must gain 40 points by completing a mixture of activities from this booklet. Each activity will earn between one and five points according to its complexity. You must do at least one activity from Section 8 but the others can be completed in any way you like. After two and a half years of planning 3,500 members of Girlguiding West Sussex, Girlguiding Sussex Central and Sussex West Scouts took part in WS2107, a fantastic camp with international guests from over 20 countries. The theme of the camp was Harry Potter and the units were all divided into sub-camps of the Hogwarts houses, plus Dumbledore’s Army for The Senior Section members. The fabulous range of costumes that were seen around the camp during the week was a sight to see. The opening and closing ceremony even had its own Hogwarts Express, carrying the County Commissioners and the Camp Chiefs (Dave & Debbie Phillips) dressed as ‘Dumbledore’ and ‘Professor McGonagall’! The wonderful range of activities available during the week included archery, climbing, zip lines, rifle-shooting, kayaking, rafting, inflatable challenges, stilt walking, drama workshops, blacksmithing, science and craft, plus getting up close with owls and other birds of prey, lizards and insects, to name a but a few. On the Wednesday there was an opportunity for all sections that were unable to attend the camp to visit for the day. So Beavers, Rainbows, Cubs and Brownies were all invited to experience the fun of an international camp. Unfortunately the weather was not kind and the rain poured for most of the day! But scouting and guiding is nothing if not resilient and the day went ahead with some adjustments to the venues for the activities and all had a wonderful chance to experience some of the crafts and challenges of the camp. In the afternoon a charity fund raising event was held in one of the large barns, where everyone had the opportunity to have a go at the The Muggles Charity Fair stalls. Everything was 20p a go and the money raised was split between the chosen charities, The Coco Foundation and Chailey Heritage Dream Centre Appeal. With all camp participants dressed in the Harry Potter theme the atmosphere was great and all the visitors seemed to have good time, despite the weather! The money raised during the whole camp was a fantastic £9000, with cheques for £4500 each presented to the charity representatives during the closing ceremony. The camp centre was Diagon Alley with a range of shops selling Scout and Guide merchandise, as well as WS2017 branded clothing and souvenirs, plus the café, the tuck shop, the International hub, and the ‘Chill Out’ area. At night the stage was lit up with music from the band or DJ Nev or the WS Has Talent contestants, whilst everyone filled the area with dancing. The opening and closing ceremonies were held here, as well as ‘Scouts and Guides Own’ service on the Sunday afternoon. Throughout the camp friendships were formed and wonderful memories were created, with a great atmosphere of fun, friendliness, kindness and most definitely the fabulous spirit of Girlguiding and Scouting.